David is tasked with developing Community Justice Scotland’s strategy for Learning and Development across Scotland. 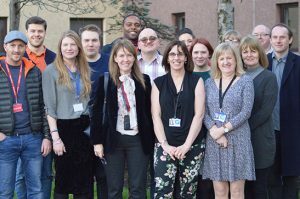 His role is also to identify examples of best practice nationally and internationally in the field of community justice and to share these with our partners across Scotland. David has enjoyed a wide and varied career within the criminal justice field. He worked as an intelligence analyst with Tayside Police before becoming Deputy Principal Analyst at Strathclyde Police. 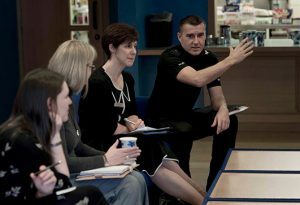 He designed and delivered SQA accredited training programmes to diverse agencies whilst employed at the Scottish Police College and also developed a “whole system” approach to analytical training in conjunction with academics and practitioners from around the world. 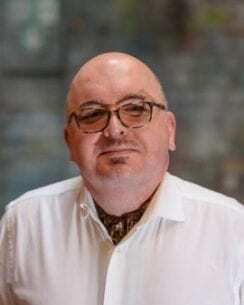 He also ran his own company advising and training organisations across the world in analytical techniques and processes and, prior to working with Community Justice Scotland, was employed as a Performance Analyst with the Scottish Police Authority.